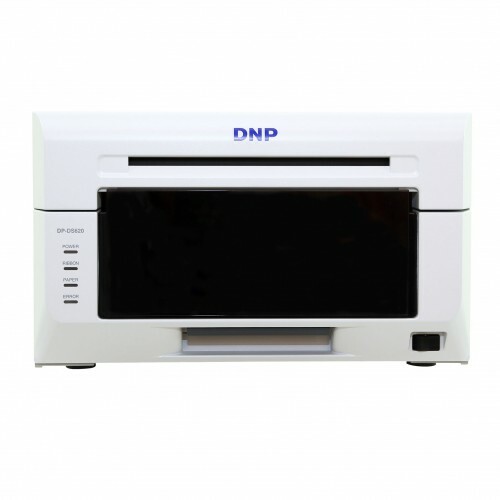 DS620A dye-sublimation printer is the world’s most compact professional digital photo printer. With its wide range of print size options, quick output, and innovative print technology, the DS620A is an extremely valuable revenue-generating asset for professional photographers and retail store operators offering photo-printing services. At only 10.8-inches wide by 14.4-inches deep by 6.7-inches high, the small footprint allows for easy transportation and stacking with additional printers for high output functionality making it the ideal companion for photographers who want mobility, speed and volume. Energy consumption and media waste have been optimized in the DS620A. A new standby mode lowers costs and increases profitability by making the most efficient use of energy (<0.5W). 3-year Advance Exchange (AE) Warranty included in the box (reg. $395)! Click here to view our Panoramic Drop In Template Set formatted for the DNP DS620's print sizes.